There are several ways to lock and unlock your Apple Watch, and depending on the settings you select, you can always keep your Watch unlocked, unlock and lock it manually, or have it automatically lock when you’re not wearing it. You’ll be prompted to set a passcode when you first set up your Apple Watch, but you can change it at any time. 1. Open the Settings app on Apple Watch. It’s a gray icon with a gear on it. 2. Scroll down to Passcode using your finger or by turning the Digital Crown. Scroll down to and select Passcode. 3. Tap Passcode, then Change Passcode. 4. Enter your current passcode. You’ll need to enter your current passcode in order to reset it. 5. Enter a new passcode. Re-enter it to confirm the change. 6. 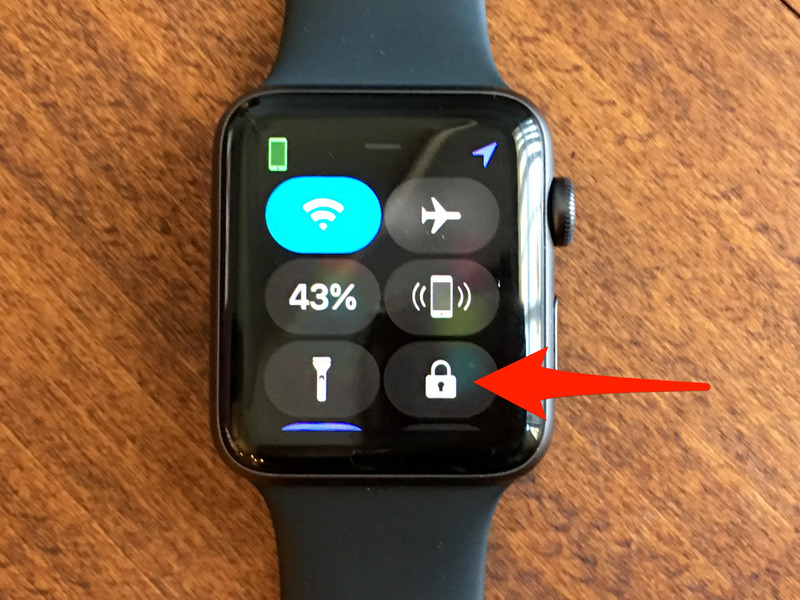 Alternatively, you can change your passcode on the Watch app for iPhone by going to the My Watch tab and tapping Passcode, then Change Passcode. 7. To use a passcode that’s longer than four digits, turn off “Simple Passcode” in the Passcode menu on the Watch app. You can choose to not have a passcode to unlock your Apple Watch, but note that without a passcode you will not be able to use Apple Pay on your Apple Watch. 1. Open the Settings app on Apple Watch. 2. Tap Passcode, then Turn Passcode Off. 3. Alternatively, on the Watch App for iPhone, tap My Watch, Passcode, then Turn Passcode Off. Tap Turn Off Passcode Lock. This feature unlocks Apple Watch whenever you unlock your iPhone and you’re wearing your Watch. Your iPhone and Apple Watch must be within standard Bluetooth range (about 33 feet, according to the Apple Watch User Guide) for this feature to work. 2. Tap Passcode, then switch on Unlock with iPhone. 3. Alternatively, on the Watch App for iPhone, tap My Watch, Passcode, then switch on Unlock with iPhone. The Wrist Detection feature locks your Apple Watch when you’re not wearing it to keep your information secure. 1. Open the Watch app for iPhone. 2. Tap My Watch, Passcode, then switch on Wrist Detection. Turning off Wrist Detection will disable some of your Apple Watch’s features. 3. Apple also notes that if Wrist Detection is turned off, 1st generation Apple Watch users can’t use Apple Pay on their Watch, and Series 4 Watches won’t make an automatic emergency call after a hard fall. To lock your Watch manually, you must have Wrist Detection turned off (see above). 2. Tap the lock icon. 3. To lock your Watch screen during a workout to avoid accidental taps, swipe right, then tap Lock. To unlock, press the Digital Crown and side button at the same time. This may be hard to hear, but if you forget your passcode, you need to erase your Apple Watch. 1. Unpair your Apple Watch by opening the Watch app, tapping on your Watch listed at the top, then tap the “i” icon to the right of it. Tap Unpair Apple Watch. This action will erase all Apple Watch settings and its passcode. Once unpaired, pair your Apple Watch with your iPhone. Tap the “i” next to your Watch and then tap Unpair Apple Watch on the next page. 2. Reset your Apple Watch by opening the Watch app, tapping General, then Reset. Once reset, pair your Apple Watch with your iPhone. Choose an option to reset the device. 3. For more tips, check out this Apple support page.